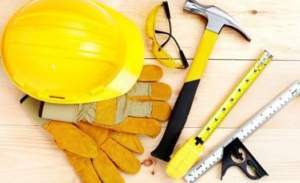 Rural Neighborhoods is seeking contractors to complete renovations of its units as well as those of qualifying homeowners in Collier County. Check out both categories below. Our Main Street Village (under our Big Cypress Corporation LLC) will be undergoing a series of renovations in 2018-2019. The following bid opportunities are available for this 79-unit development located in Immokalee. We’ve partnered with Collier County Community and Human Services to offer local residents an Owner-Occupied Rehabilitation Program. Under this program, Collier County homeowners, may apply for funds to repair health, safety and weatherization issues for up to $50,000. Applications for the program are submitted to and approved by Collier County. To learn more about the program and obtain an application, click here. Most projects require a mandatory, pre-bid walk-through to review the scope and inspect the home. New bid opportunities are posted below as they become available. Click on the links to see the available Scopes of Work.